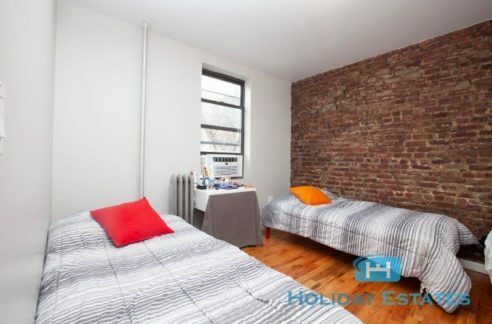 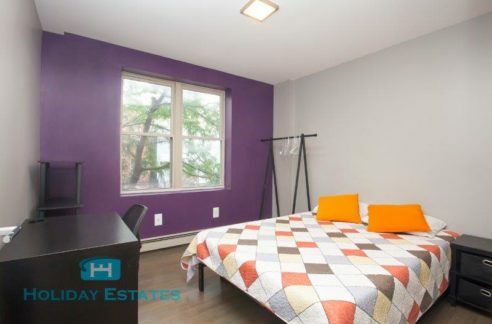 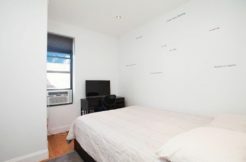 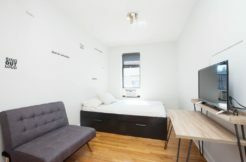 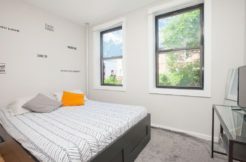 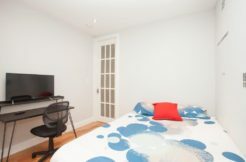 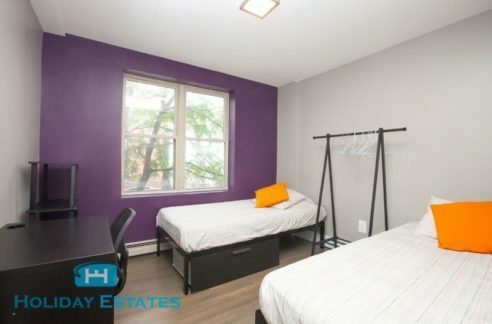 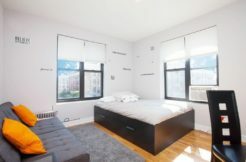 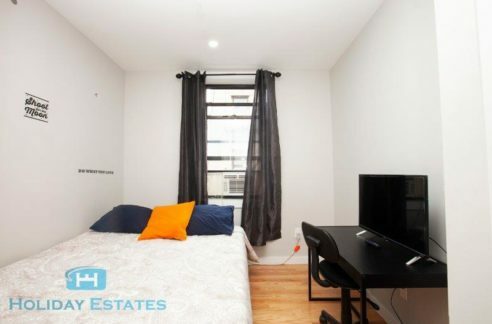 Holiday Estates offers shared apartments for rent in NYC. 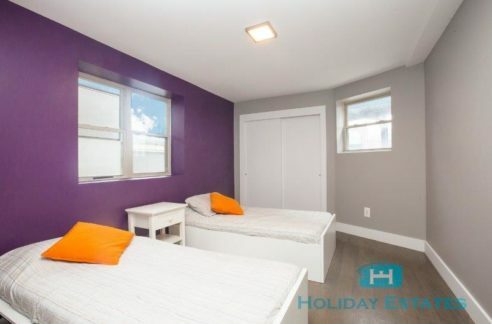 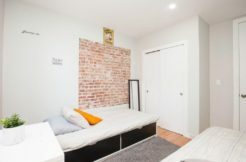 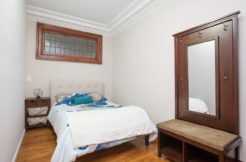 We offer either private rooms for individuals or couples as well as shared twin rooms for those seeking a lower monthly rental cost and don’t mind sharing. 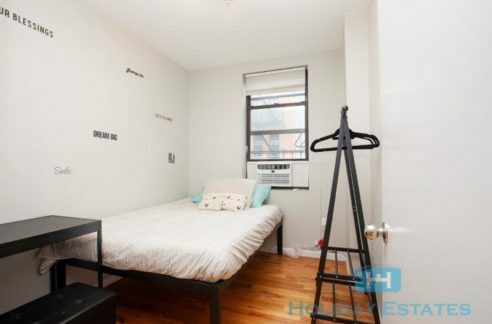 No worries you don’t have to look for a roommate! 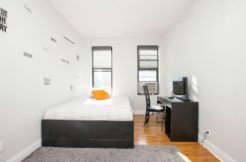 We do all the work. 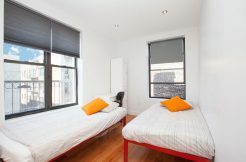 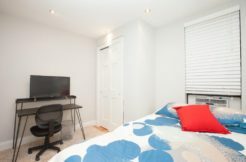 All of our room rentals are bound by a short-term lease specific to the term you require. 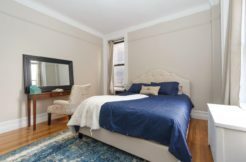 We do not charge a brokerage fee or any applicable fees. 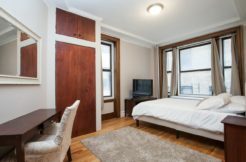 Our business model is designed to appeal to renters that seek a quality shared residence that is fully furnished and includes all utilities. 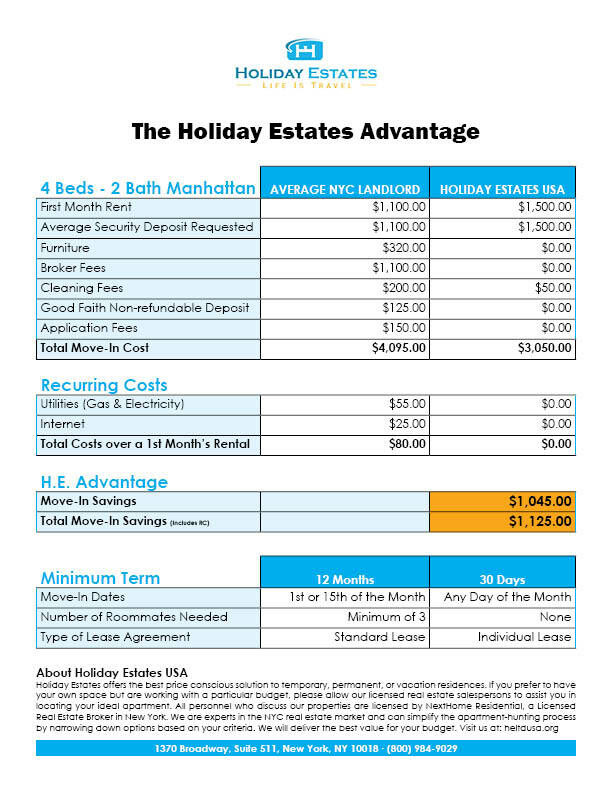 For more details review our Holiday Estates Advantage Chart. 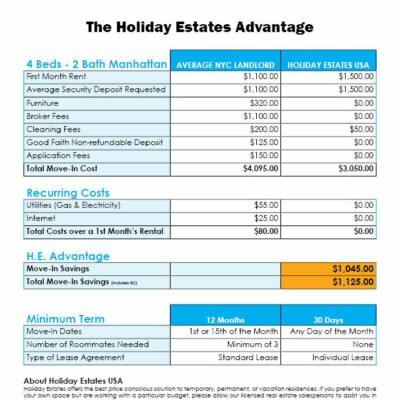 This will provide you with greater details on why renters prefer Holiday Estates over other competitors in New York City. 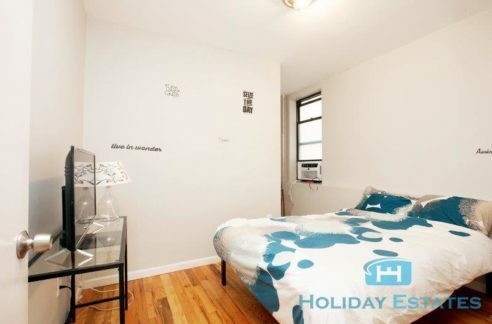 Below are a few shared apartments in Brooklyn. 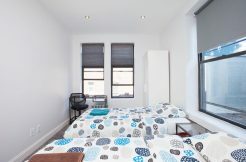 All rooms for rent are based on availability. 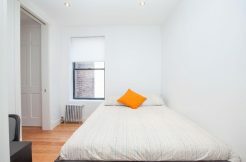 If a particular room is not available for immediate rental, be sure to ask about alternatives until the room becomes available. 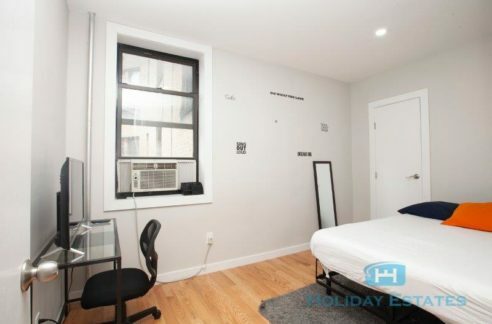 Below are a few shared apartments in Manhattan. 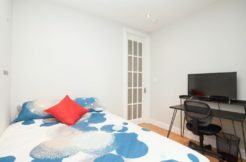 All rooms for rent are based on availability. 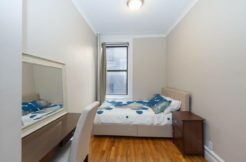 If a particular room is not available for immediate rental, be sure to ask about alternatives until the room becomes available.